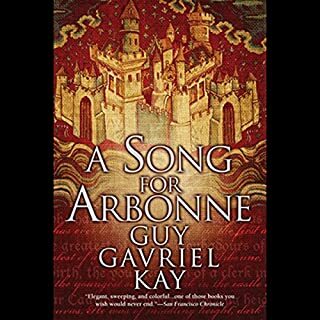 This is a beautiful, complex novel set in a fictional mediaeval world, probably the same world as his Sarantine series, but in a different area. Like most books by this author, the characters are complex, and the plot weaves richly together towards a stunning ending. It is very well read. Highly recommended. Marla Mason is the chief sorcerer of Felport, a woman who's tangled with gods and monsters and come out on top (if a bit damaged in the process). 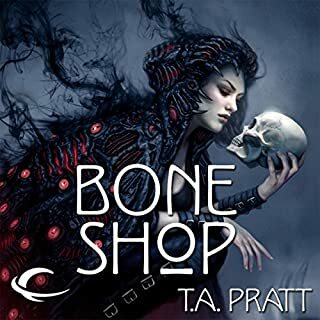 Bone Shop tells the story of Marla's evolution from runaway to sorcerer's apprentice to mercenary magician and beyond. 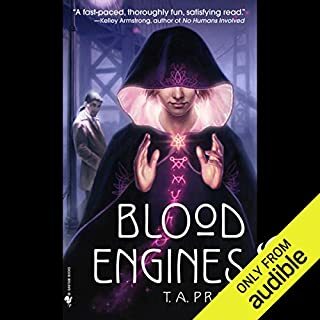 Fans of the urban fantasy series from Bantam Spectra that began with Blood Engines will find surprising secrets revealed about Marla's past, and new listeners can get to know the character from the very beginning. The Sharers of Shora are a nation of women on a distant moon in the far future. They are pacifists, they are highly advanced in biological sciences, and they reproduce by parthenogenesis - because there are no males. Conflict erupts when a militaristic neighboring civilization decides to develop their ocean world and sends in an army. This was a very interesting book, reminding me of some of Sherri Tepper's works. 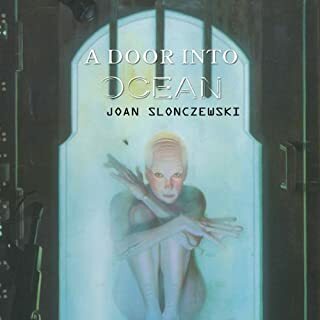 This book outlines a conflict between a patriarchal military culture and a water world populated by women whose technology is biologically based. The book moves slowly, but as I kept listening I was drawn into the story of how these two cultures interact. This beautiful book made me cry! Euan Morton narrates this story of a land populated by peoples of three faiths, torn by war. The characters are memorable, and their intertwined stories make you think about the meaning of honour and love. The setting is an alternate world which is similar to mediaeval Spain. 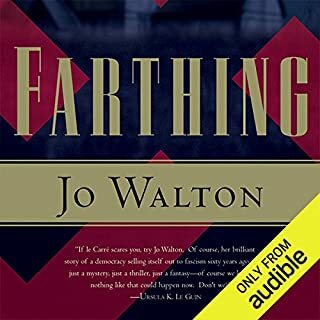 Jo Walton is an excellent author, and this first book of her Small Change trilogy was great. 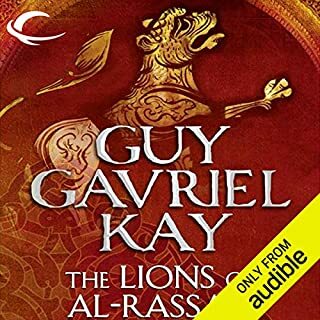 It is well narrated with two narrators (male and female). If you like alternate political histories and murders, you will like this book. There is both political and religious tension, and I certainly wouldn't like to live in this alternate Britain. This was a surprisingly good listen! 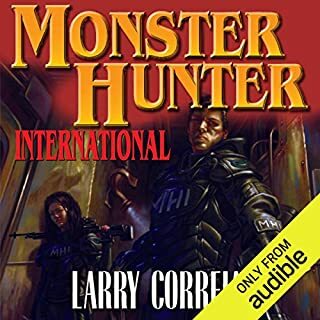 A fast-paced action story of a man who gets caught in a world of monsters hidden from most of us. There are a lot of guns, lots of combat, and some great characters. This was a really interesting book. 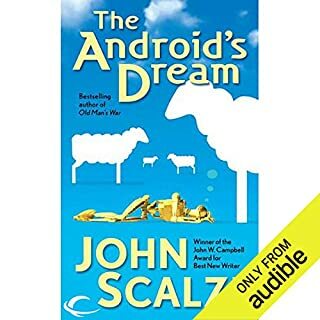 It starts out quite slow, and for a while I was wondering if I had mistakenly bought a book that was not science fiction. However, it is well worth persisting as the mystery unfolds. This story has some very interesting characters, and builds to a fantastic conclusion. 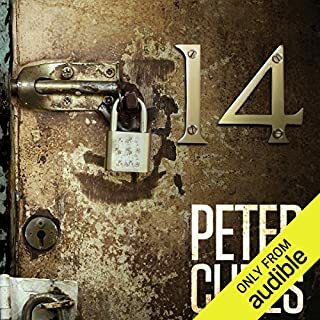 I won't spoil it, but any book which has Telsa and Chthulhu is worth a listen! Ray Porter does a good job of narration. This is the first of TA Pratt's Marla Mason Series. I started this after hearing a Marla Mason Story on Podcastle, and I'm so glad I bought this book. I guess the genre is urban sorcery, set in a fictional modern city in North America. The characters are flawed and interesting, particularly Marla. 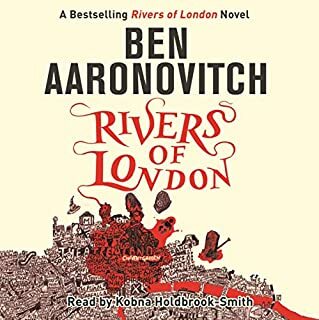 If you like the Harry Dresden books, I think you'd like this series. The reading is well done.